If you’ve been prepping for any length of time then these may be a refresher or they may be brand new. If you’re just starting in the prepping/preparedness world, then these will most likely be new to you. Either way, there’s something for everyone in this list of prepping tips. Prepping means you should always be ready to learn. It’s often said that knowledge is power, and that is especially true in the world of readiness. Keep an open mind and try to learn more every day. Just because someone has a view that opposes yours does not mean that there is nothing you can learn from them! In fact, I find that I often learn the most from people with different viewpoints than me. Even if a disaster does strike, you can (and should) continue to learn from your successes and especially from your failures. Bugging out should not be your first option in a disaster. If you are planning to bug out at the first sign of a collapse, then you are probably living in the wrong area. Make plans to move to an area that is likely to be a good place to bug in. This doesn’t mean drop everything and move into the middle of the woods. It does mean that if prepping is something that is going to be a big part of your life, then you need to get to an area that is safe for you and your family. Even moving out of the city and into the suburbs is a huge improvement on your prepping situation. In the end, it’s up to each of us to decide when to bug in or bug out. Just because you live in a city or an apartment doesn’t mean that you can’t be prepared. Not everyone can simply pack up and move to a rural community. If you’re stuck in a situation like this, then you need to begin to learn the vulnerabilities of that area. Then, start to counter each of those vulnerabilities as best as you can. Remember, no one is 100% prepared for everything. Your job is to be as prepared as you can be in the situation that you are in. As long as you are improving your situation, you’re on the right track. If you can’t move away from the city, we suggest that you put together a bug out bag. Learn to use the space that you have available. This is especially important if you live in an apartment or a small home. You can buy or build sliding storage racks or totes that will allow you to store food, water, and supplies under your bed. The normal queen size bed can store around 43 sq/ft of goods. A king size bed can keep around 60 sq/ft under it. This is assuming 1 1/2 feet of clearance under the bed. The back of the closet often goes unused. Build or buy shelving for that area. You can stack boxes or canned food and cover them with a sheet then use them as end tables or nightstands. Small racks on the inside of closet doors can be a great place to store canned foods. Get creative and look around for those spaces that aren’t being used. Creativity is one of the keys to prepping in less than ideal situations. Use modern apps and web-based programs. Google maps is a great planning tool for anyone who is a prepper. Having a satellite view of your surroundings gives you a solid place to begin your planning. Printing out these maps and incorporating them into your defensive plans is a good idea so you have them available when you need them. There are a lot of good mobile apps as well. Apps like Golf GPS for the iPhone can give you the range of objects relative to your location. Other apps like BulletDrop can be used to figure out, you guessed it, the drop of a bullet based on its weight and muzzle velocity. By browsing the app stores, you can probably come up with more apps that would be useful for prepping. There are many areas of your home that can provide you with water following a disaster. Water in the tank of your toilet can hold around 3 gallons of drinkable water. Your water heater is also a great source of water. By draining your water heater you can get up to 40 gallons of water. Another possibility is draining the pipes in your house. By opening a faucet on the top floor then collecting the water from a faucet on the ground floor, you could end up with another couple gallons of water. A water bob is another great idea. As long as you can fill them before a disaster strikes, they make a great way to store water for almost anyone. 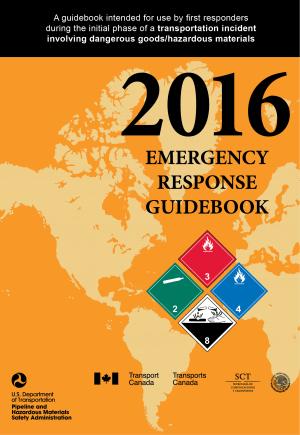 Learn to use the Emergency Response Guide (ERG). The ERG is a book that allows first responders to identify hazardous materials, their labels, containers, hazards and appropriate protective equipment. In a post-collapse environment, factories, pipelines, and chemical plants will still be a part of the landscape. Having access to an ERG will allow you to identify hazards if you are looking for supplies in these areas. It would also make a great addition to your prepping library in order to help treat accidental exposure to these chemicals. A PDF of the ERG makes a great addition to a prepping library and can be located here for free. There is an Android and iPhone App available there as well. You can’t only focus on your strengths. We all have a tendency to like to do the things that we’re good at. You should take an honest look at yourself and see where you need to get better. Once you’ve identified those things, don’t shy away from them. Attack them and learn everything you can about the areas where you’re the weakest. If you’re really good with a rifle but have no idea how to grow a garden, guess what? You’re a gardener until you know what you’re doing. Gaining survival skills is just as important (if not more important) as gathering food, water, and other prepping gear. Plus, they’re easier to carry around. Mountain bikes make a great post collapse vehicle. A bike could be a lifesaver after a collapse or even in a short-term breakdown. When fuel cannot be delivered, a bike of some kind will provide the ability to travel distances at speed. Add in a trailer and your ability to carry gear will increase by about 100 lbs. A mountain bike will give you more travel options if you should decide to bug out. Riding along train tracks or cuts made for power lines could keep you off the roads when everyone else is stuck in traffic. Check out our article on mountain bikes as post-collapse vehicles. Have a plan to get your family together in one place if an event occurs when you’re separated. This plan should be something that you and your family can implement without the need to communicate in case cell phones don’t work. As an example, your plan may be that if something occurs while you’re at work, then your wife or husband will go get the kids from school and you will work your way back to the house. You could also have each parent get one child and then you both head home. Your plan will vary depending on your specific situation, but it should be something that everyone knows. As with any plan, it helps to practice it. As a new prepper, it’s easy to get overwhelmed. Sit down and write out a quick list of things you need when you first start prepping. Water, food, and defense should top your list but you don’t have to rush out and get everything today. Prepping can get expensive. Break your list down by priority and add a little each week to your stores. If you live somewhere with plenty of water available, maybe you just need to buy a Big Berky water filter the first week to meet all of your water needs. Add a few cans of food for the next couple of weeks until you have some food put away. Your situation will change depending on where you live and how much you can afford each week. Just take it slow and do it in manageable chunks. Before you know it, you’ll have the secure feeling that comes from being prepared! The internet contains a wealth of knowledge. You can find entire libraries worth of prepping books to download for free by just using Google. Take advantage of that while you can! Following a disaster, you may not have access to the internet for a long time (if ever). Print the resources you need most and keep them in three-ring binders for when you need them. Add these binders to your prepping library. You can also store all those books on a thumb drive or external hard drive. Keep it in a safe place and you could potentially have access to them even after a disaster. As long as you have some way to charge a laptop, you should be able to access a computer following most disasters. Purchase a firearm to protect you and your family. Guns aren’t the most important thing to have, but you need to be able to protect yourself and your family from potential criminals and thieves. What you buy will depend on your budget. For those with a lower budget, I would suggest a pistol if you can conceal carry in the area that you live. If you can only have a firearm in your home, then I’d say to get a 12-gauge shotgun. If you happen to have a higher budget then I’d suggest an AR-15 for home defense and a pistol. This is always a topic that spurs a debate. Ultimately, whatever you can afford is better than nothing. If you live in a country that doesn’t allow you to have firearms then you’ll have to be creative when looking for weapons for self-defense. Hand to hand weapons have been used forever. Baseball bats, knives, machetes, axes, and tomahawks are all viable options for self-defense if you are prepping and cannot buy a firearm. Prepping itself isn’t normally hard work, but the strain of a post-collapse life is. If all of the modern conveniences we take for granted are gone, then something as simple as getting drinking water could become a backbreaking ordeal. A lack of strength and flexibility also means that you are more likely to get injured. Being overweight increases the chances of heart disease, diabetes (which could be a death sentence in a grid down situation), and many other negative health effects. If you needed to walk 20 miles a day could you do it? Could you wake up the next day after a couple hours of sleep and do it again? These are questions that you honestly need to ask yourself. Starting a basic exercise program will make all aspects of your life better. Expensive solar panels aren’t the only way to get power from the sun. There are a bunch of portable solar charging options available now for right around $75. These solar chargers are typically aimed at charging cell phones but they can also charge batteries or battery packs. I’ve used Goal Zero products a lot and I’ve never had a problem with them. There are other brands on the market but I don’t have much experience with them. More extensive solar power options are available. Prepping to power your entire home after a collapse is possible if you’re willing to put the time, money and effort into it. Storing water should be your first priority. We can only live a for a couple of days without water. You should plan around a gallon of water, per day, per family member. For a family of three or four that can add up quickly. Water also take up a lot of space and is very heavy making it one of the more difficult items to store. There is a wide variety of prepping water storage containers available for sale. They can get expensive but they also have the added benefit of being stackable. A less expensive way to store water when you’re first starting out prepping is by rinsing out old soda bottles and filling them from the tap or just buying cases of bottled water. These containers are not as strong as purpose build water storage containers, so be careful when stacking them. You can help improve the taste of water that has been stored for a long time by pouring it back and forth between two containers. Get to know your neighbors before a disaster strikes! Following a collapse, we will all have to work together. You can start by simply learning your neighbors’ names or waving as you drive past them. You don’t have to become best friends with them, but at least being familiar with them can go a long way when you may need their help. Even if you live in the middle of nowhere, getting to know your closest neighbors is a good idea. The lone prepper or prepper family is not the best idea and the crazy homicidal prepper certainly isn’t going to work. You will need help to do everything that is needed in the event of a long-term collapse. Dealing with bodies in a SHTF world is something that we will need to become accustomed to. If you come across a corpse, it may smell bad, but the likelihood of it transmitting diseases to you is low. This is especially true if they died of starvation, dehydration or trauma (such as a gunshot wound or falling debris). A corpse will contaminate water, so they should be moved away from bodies of water or groundwater. They will also bring vermin to the area, that will transmit diseases. Burying or burning the bodies is the best way to keep vermin away. Just make sure you bury them deep enough that scavengers won’t dig them back up and far enough from water sources that they will not contaminate your water supply as they decompose. Keep a get home bag in your vehicle if you work or spend a lot of time away from home. When you’re prepping this bag, remember that you’re only trying to get home from where you would most likely get stranded. I would plan on moving no more than 15-20 miles a day on foot, so pack with those distances in mind. If you work 17 miles from your house then pack food and water for one or two days. Pack some light food items (such as protein bars), several bottles of water, some kind of light shelter (space blanket or small tarp), a first aid kit, a pistol or light rifle with a couple magazines, sneakers or hiking boots and a change of socks and t-shirt would round out any get home bag I would build. Keep it light and get home as fast as you can. Know how to disinfect water, and know several methods to do so. Prior to starting to disinfect your water, you should do your best to filter out solid particulates or let them settle and scoop out the clean water into another container. Water purification tablets are an easy and inexpensive way to disinfect water. Boiling is another method, heat the water to a rolling boil for one minute (three minutes if above 5000 ft), then let it cool. You can also use household bleach to disinfect water. Use unscented bleach that is less than a year old, add 2 drops to one liter of water or six drops to a gallon of water. Let it stand for 30 minutes and make sure it has a slight chlorine scent. For cloudy, cold or discolored water, double the amount of bleach. Make sure you’re prepping items so you can also filter water. Buying a quality survival water filtration system should be one of your priorities when you first start prepping. It’s good to know how to build a few basic defensive fortifications. A couple of useful fortifications are the abatis and defensive fighting position (DFP). An abatis is useful for diverting or stopping traffic on roadways. You can build one by felling or dragging trees onto the road and interlacing them together to form a continuous barrier that a vehicle would not be able to pass. The DFP is nothing more than a hole in its most basic form. It should be two rifles long, one rifle wide and roughly deep enough to allow the tallest person to be covered up to their armpits. To improve the DFP add frontal and overhead protection and conceal it as best as you can. Prepping basic fortifications ahead of time will greatly increase your survivability during a no-notice collapse. Be aware of the threats that you are likely to encounter and try to avoid them. When prepping, the best way to defend against any given threat is to avoid the places that those threats are likely to occur. The threats we face today are most likely related to Islamic extremism. With this in mind, prepping for a vehicle-borne attack, bombing, shooting or stabbing are all likely. Avoiding crowds, especially those around protests and political/religious events is the best way to stay away from these threats. If you do need to be around large crowds, be aware of your surroundings, keep an eye out for suspicious people and move away from any possible confrontations. In a post-collapse environment, areas like FEMA camps, food & water distribution areas and markets could all be potential areas for violence. Do not let your pride overcome common sense. Walking away from a confrontation is almost always the better idea. Not disposing of trash in the correct way is guaranteed to attract vermin, scavengers and spread disease. Prepping to handle the garbage that you’re going to be creating is something many people overlook. Today, we are used to just dropping our trash off at the curb, going to work and coming home to an empty trashcan. Most people are in for a rude awakening if those services ever come to an end. At our current rate, each person makes about 6 pounds of trash per day. Limiting the amount of trash that you produce is going to be your best bet. What you do produce can be burned or buried away from your home. If you live in an apartment, you will have to make sure that people do not pile trash up against the building. This could be used as fuel for a fire to burn the building down, on top of the threat of disease and animals. Basics like smoke alarms and fire extinguishers can save lives. This is an everyday prep. Fires kill around 2,500 people annually in the U.S. and injure another 12,000. Have a working smoke alarm outside of each bedroom. Check them monthly! Make sure your every family member knows where to meet in the case of a fire in your home. Practicing the evacuation is a good idea, especially if you have small children. More ideas and further information about fire extinguishers can be found in our article about prepping for a home fire. After a collapse, fire is going to be a common weapon used by looters and marauders! Having extra fire extinguishers is a good idea. Carry a firearm with you whenever you can. This topic is another one that always causes several debates, pistol or revolver, what caliber, do you need night sights, etc. I say carry whatever you are comfortable with. In the end, the most important thing is that you’re armed. This is another everyday prepping item. If your state allows for concealed carry, then I would suggest applying now if you haven’t already. You are the only one that can protect yourself or your family. The police are not going to be there until it’s too late. Weapons like retention knives, kubotans, and tactical pens make great back-ups when you’re carrying a firearm. They’re also better than nothing if you’re prepping in areas where you cannot carry a firearm. Knives like the Ka-Bar TDI can be hidden along the belt line on the weak side. If you are struggling with an attacker, this allows you to draw the blade while maintaining control of your firearm with your strong hand. Kubotans (like the Cold Steel Mini Koga) are blunt weapons that can be used to apply pressure to pressure points or used in a closed fist to strike at soft areas like the temples, throat, and eyes. So-called tactical pens normally fall somewhere between a pen and kubotan. You can use them in a similar manner to a kubotan. If you’re carrying any of these as a primary means of defense then you should carry them on your strong side. Just because you live in the city doesn’t mean that you cannot grow some of your own food. As long as you have windows that get a few hours of sunlight a day or can get access to the roof, you’re in business. Container gardens are a great way to supplement your food storage. Lettuce, cabbage, greens, tomatoes, beans, peppers, carrots, radishes and potatoes are all good options for a container garden. In shady areas, plant lettuce, cabbage, and greens. For sunny areas, tomatoes, beans, peppers, carrots, radishes, and potatoes work well. Cucumbers, squash, and pumpkins can also be grown in pots as long as they have something to grow on. Planting them near a fence or railing would give them the staking they need. Come up with a plan to dispose of human waste. In the very short term, or if you’re just traveling through an area, you can dig a hole, go to the bathroom, then cover it back up. This can’t be your plan for the long term. Holes full of human waste all over your yard will breed disease and shouldn’t be part of your prepping 2019 plan. In fact, many of the most dangerous diseases you will encounter in a post-collapse environment are transmitted through contact with human feces. Proper hygiene is necessary for long term survival. There are many sustainable methods of waste disposal available to you. The cheapest medium-term solution is something like the Luggable Loo or SereneLife Outdoor Toilet. These still leave you with the problem of dealing with the waste, but they are certainly more comfortable than digging a hole. A composting toilet is great if you’re looking for a more permanent solution. The cheapest, long-term fix is the use of an outhouse. They’ve worked for centuries and there’s no reason why they won’t work again. Learn how to stop severe bleeding. Prepping to control bleeding is one of the most important parts of first aid. For minor bleeding, apply pressure and elevate the wound above the heart. If you’re trying to treat heavy bleeding, don’t be afraid to use a tourniquet if the wound is on an appendage. For large, gaping wounds, you should pack the wound with gauze or a bandage impregnated with a hemostatic agent. Our article on how to stop bleeding goes much deer into the subject. Find several places that you can get water around the area that you live. Lakes, streams, and ponds are all great places to start. Don’t overlook man-made bodies of water like pools and water hazards on golf courses. Take a look at the horizon, chances are you’ll notice a few water towers in the area. Gathering water from them will not always be very straightforward. Getting a basic understanding of how they work before a disaster occurs is a good idea. Examining the maps available at Water Resources of the United States is another place you can look to try to find water in your area. Make note of these water sources and mark them on a map in case you need them in the future. Regardless of where your water comes from, learning where to get it and how to make sure it’s drinkable is one of the core prepping skills. Build a bug out bag. Building a bug out bag is often seen as a right of passage when you start prepping. Build it with YOUR needs in mind and it won’t let you down when you need it most. What really needs to get discussed is realistic weights. I’ve seen some ridiculous weights quoted in different areas. Most people shouldn’t pack more than 45 lbs (probably closer to 35 lbs) in a bug out bag. If you’re just going to throw it in your Jeep and drive off, then put as much crap in there as you want. If you’re going to actually walk away from your house with it, keep it light. Focusing on gear that has multiple uses will help you keep the weight in check a little better. Adding items that will let you filter water and capture food will last longer than carrying food and water in your bag. Know how to use your food storage items. Things like red wheat berries can seem completely foreign to you when you first start prepping if you don’t familiarize yourself with them. Wheat berries can be ground down into regular flour with a hand grinder. White wheat is engineered from red wheat. Red wheat can have a bitter taste so it is normally mixed with more sugar than white wheat. Grinding red wheat into flour is good for making hard bread and white wheat flour is better for softer bread. You can also boil wheat berries and eat them whole. Powdered milk can be used to make everything from yogurt to hot chocolate to cottage cheese. Beans and rice a kind of self-explanatory but there are tons of creative ways to use them. You don’t need to plan out complete meals, but I suggest printing out some basic recipes as well as some more in-depth ones to keep your food interesting. Food can be a great way to relax and provide a much-needed distraction and some comfort in really horrible situations. Get hard copies of local maps. They can be difficult to find these days with GPS and cell phones everywhere, but you should have hard copy maps available and know how to use them. I like to have detailed maps of my local area and any areas I may stop along the way to a possible bug out location. Then slightly less detailed maps of the areas surrounding that. Finally, I keep a current American road atlas available as a good overall map of the country. Consider keeping the materials for a homemade greenhouse on hand. PVC pipes, PVC fittings, and heavy gauge plastic are all you need to make a basic greenhouse. This type of construction can be flimsy and won’t stand up to strong winds. Stronger materials will be needed if you live in an area that experiences high winds. The ideal temperature for a greenhouse is 80-85 degrees. Make sure you can regulate and monitor the temperatures in your DIY greenhouse. In the springtime, you can start your plants from seeds. Keep them in the greenhouse until there is no more threat of frost. In the winter, plant cold-resistant vegetables like lettuce. For long-term use, I’d suggest something along the lines of the DIY greenhouse kits that Bootstrap Farmer offers. Collect rainwater can make water collection easier. Something as simple as draping a tarp or large trash bag between two lawn chairs can be used to collect rainwater. A more advanced, permanent option, comes in the form of rain barrels. You can buy everything from aesthetically pleasing barrels that would fit naturally into your backyard, all the way to 100 gallon or 250 gallon barrels. I like the portable rain barrels since they can be collapsed and stored until you decide that you need it. Ultimately, all you need is a container that can hold water and some way to catch or divert the rain into that container. Make sure the container doesn’t allow sunlight in if you plan on storing water in it for an extended period of time. This will help keep the growth of algae to a minimum. There are tons of DIY projects out there for when you first get started prepping. Just search on Google for rain barrels. Get it through your head that you cannot defend your home from the front door. If you’re in a position where your home is, or could be in danger, from gangs, looter, marauders, etc. then you need to have security set up away from your house. This is one of the key things that a community provides. Block access to your neighborhood with vehicles, concrete barriers, abatis or other barriers that can stop traffic from entering. Have only one way in and out and set up a checkpoint. Interview everyone that you don’t recognize. You’re asking to get burned out of your house if you think you can hide and wait for them to come to you. Defending your family is one of the main reasons that we get involved with prepping. Keep your home and the surrounding area clear of dead trees and flammable debris. In a post-collapse environment, I believe fires will be a source of many injuries and deaths. Trees, leaves, and debris need to kept at a manageable level. Wood piles should be at least 30 feet from your living area. Make sure trees and branches aren’t touching your chimney. This may not be that much of a problem as you will likely be burning wood for heat/cooking. Use common sense when you are looking at your surroundings. Move flammable materials away from your living area if they could catch it on fire. It’s really that simple but it’s also something that can be easily overlooked when there’s a lot going on. Consider storing some modern adhesives and sealants. Everyone loves duct tape and talks about how you can use it for everything. It’s an excellent product and you should definitely have some on hand but there are other things out there that you preppers should consider. One thing I don’t hear a lot about is storing items like Flex Seal, expanding two-part foam and epoxy. There is any number of prepping situations that I can think of when these would come in handy. Be sure to check shelf lives as most of these products only have a shelf life of 1 or 2 years. The short shelf life definitely doesn’t lend itself to extended storage. I’d be interested to hear from someone who has used these products after that shelf life and see if they still hold up. I have personally used a two-part epoxy that was around 5 years past its advertised shelf life and had no problems. Be aware of the threats posed by a flood. How many times have you watched the news and wondered how can those people be so stupid? Why would they drive through that water? I see it all the time, so I wanted to touch on some guidelines for prepping to deal with floods and crossing flooded areas. If there is a flood warning near your home, move valuables and furniture to the highest floors of the house. Disconnect appliances and do not touch wet electronics. While the electricity in your house normally only causes a painful shock, electronics can have capacitors which allow them to store enough electricity to cause a deadly shock. Flood water is often contaminated with human waste which is the leading cause of deadly waterborne diseases. You should only move across flooded areas if it’s absolutely necessary. Six inches of moving water can knock you down, one foot of moving water is enough to sweep away a vehicle. Eye care is very important during times with limited or no professional medical treatment. Make sure you have several pairs of glasses available with your current prescription and never wear contacts in a post-collapse environment. Try to keep your hands away from your eyes. Touching your eyes when your hands are dirty can lead to many different diseases. Some of them are easily treated with modern medicines, but with limited access to these medications, they could eventually lead to vision impairment or complete blindness. If you don’t wear glasses, consider buying a pair of safety glasses. Adding safety glasses to your prepping supplies should be one of the first things you do when you get started prepping. Prepping isn’t always easy. This is especially true when you first start prepping! Some of our readers have prepped for decades and have a lot of great ideas when it comes to prepping. If you have questions, put them in the comments. Make sure you read our article Prepping 101 for more prepping tips! Do you have any prepping tips you’d like to share? Let us know in the comments. Abatis are also useful for breaking up foot attacks. The English used them to great effect at Crecy in destroying an overwhelming large French army. They were used during the War of Secession in the U.S., I believe at Chattanooga and some other battles. Since the advent of barbed wire, abatis as ground attack defense have fallen out of favor, but in an EOTW situation, they will help keep out or channel into preselected fields of fire, attacking forces. Also punji pits are a great way to keep out attacking forces. Ask any Vietnam vet how effective punji pits are. Another great comment. Channeling the enemy is one of the best ways to counter superior numbers. Combine punji pits or IEDs and channelization and you don’t even have to fire a round. You really don’t even need to be there. A smaller force can make forward progress so demoralizing that the enemy will simply go somewhere else. That would be my guess if you’re protecting an area from a group of marauders. A more disciplined force will keep coming but they won’t have the same number of attackers and hopefully will be worn out by the time you have to fight them. The ERG is a great idea that I never thought of. There’s a ton of information in there about all kinds of chemicals that you could run into in a grid down situation. The ERG is misunderstood. It offers a lot of information, much of which isn’t really available anywhere else, in a compact little package.